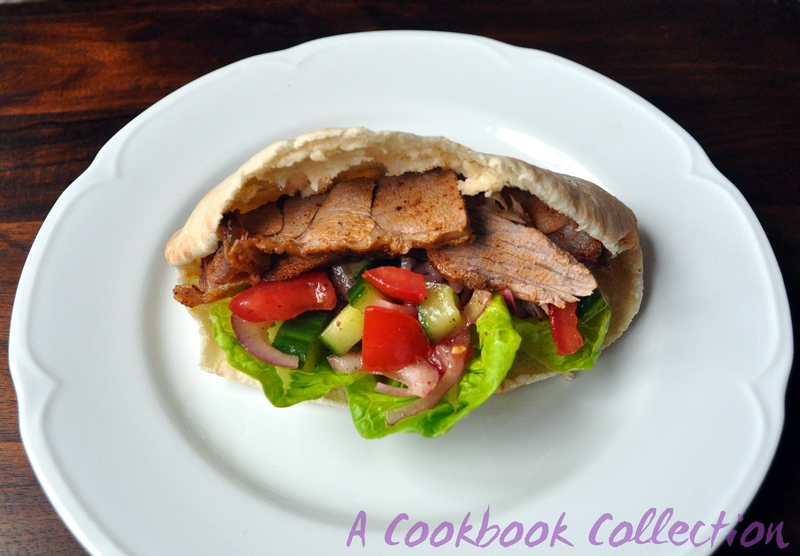 Butterflied Leg of Lamb – in a Kebab! When Yotam Ottolenghi’s Jerusalem was first published the first recipe I tried was his Lamb Shawarma. The recipe has been widely praised. Sadly, I was left disappointed. I know this is almost blasphemous to say, but I felt there were so many spices which did all smell delicious, and such a long cooking time that the flavour in the end didn’t quite meet expectations. Then I saw Simon Rimmer making a version on Sunday Brunch where he used harissa. I thought, maybe it’s time to revisit it and add the harissa. I decided to used a butterflied leg of lamb to speed up the cooking time. Your butcher can do this for you, it involves simply opening out the lamb leg and removing the bone so that you have a big flat piece of lamb. 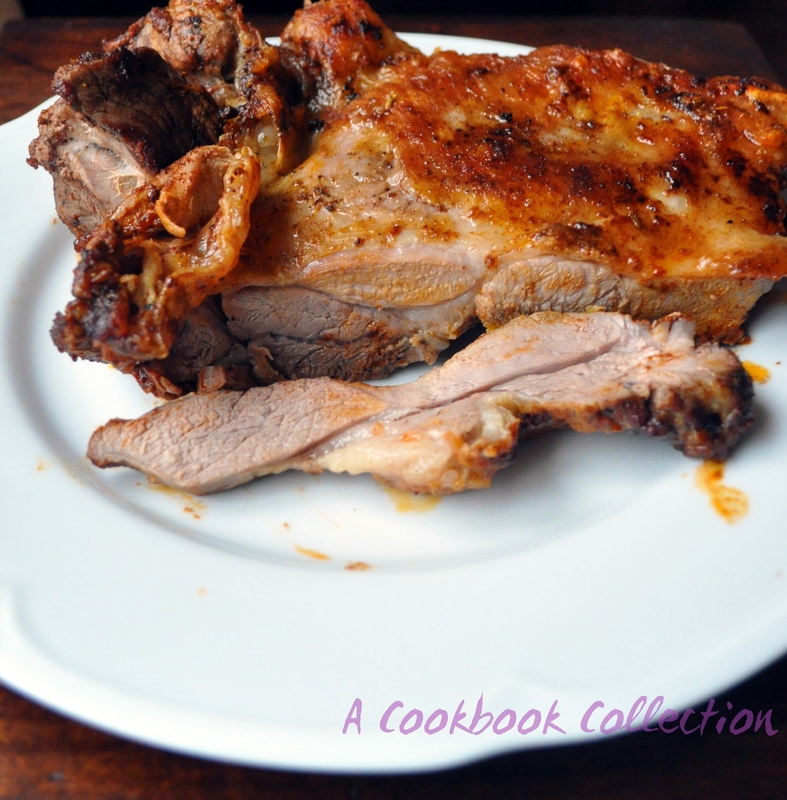 It is also a great way to prepare lamb to be cooked on a barbeque. The result was so tasty and cooked in under an hour. Unfortunately, I didn’t take pictures of the original roast – rookie error! This lamb would be great served with some baby new potatoes or couscous and salads. I reheated the leftover lamb, so it did cook a bit further and lose some of it’s pink colour, but that is ok when using it in the kebabs. I served it in pitta breads with lettuce, a simple tomato and cucumber salad and some hummus. The original roast was nice and pink but this is slightly more well done when reheated. The lamb needs to marinate for a few hours, preferably overnight, so prepare this in advance. Open the lamb out flat and smear over the harissa paste. Rub it well into the meat making sure all of it is covered. In a bowl, mix together all of the dry spices, including the grated nutmeg. Rub this all over the lamb. Squeeze over the juice of half of the lemon and a nice splash of olive oil. Cover the lamb and allow it to marinate in the fridge. When you are ready to roast the lamb, take it out of the fridge and bring it back up to room temperature. Season with some salt and pepper. Slice the remaining lemon and add this and the onion and garlic to the bottom of a large sturdy roasting dish. Place the lamb on top and transfer to the oven. Roast for 40 minutes. Remove from the oven and allow it to stand under some foil for 15 minutes. The lamb should be medium now. Allow it to stand for longer if you want it more well done. At this point you could put the lamb on a barbeque if you wanted to crisp it up a bit. Serve with some of the juices from the roasting dish. 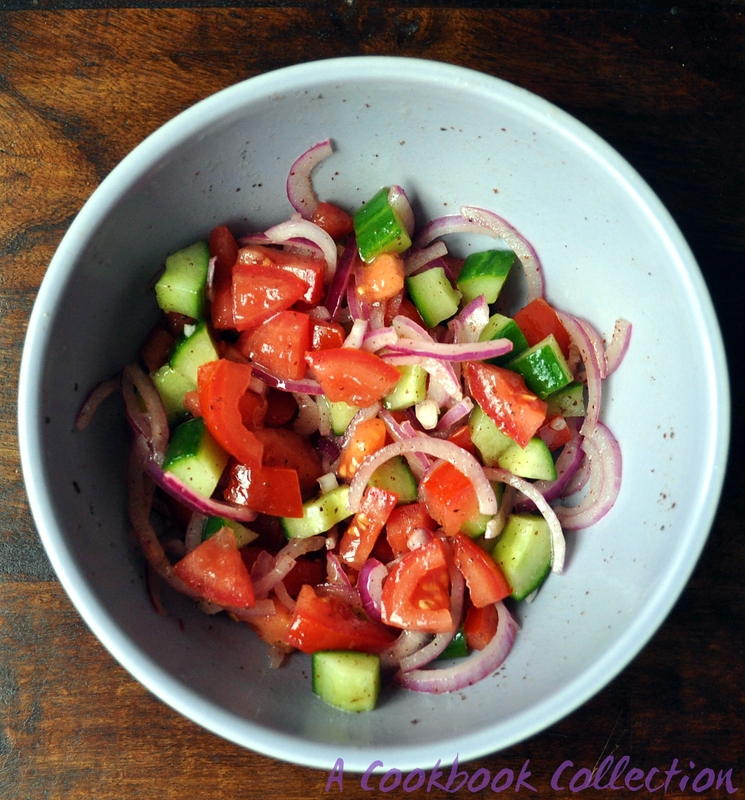 While the lamb is roasting or reheating, prepare the tomato and cucumber salad. Put the finely sliced onion into a bowl. Squeeze over the juice of the lime, add the olive oil and the sumac. Stir it all together and allow it to stand for at least 30 minutes. This will soften and take the rawness out of the onions. Dice the tomatoes. Remove the seeds from the cucumber dice that too. When ready to serve, mix the tomatoes and cucumbers with the onions and dressing. Taste to see if it needs seasoning. Warm the pitta breads, cut open carefully. Spread some hummus or mayonnaise on one side. Layer some lettuce and the salad with the lamb. Serve immediately. Beats any takeaway! I have a butterflied leg in the fridge marinating in yoghurt and mint. I’ll barbecue it later and serve it in a very similar style to this. Still too cold to contemplate sitting out. Apparently the temperatures are set to rise soon. I won’t hold my breath! But I am definitely using the barbecue this weekend, come rain or shine.